Fed up of not being able to find important clients? Tag them! 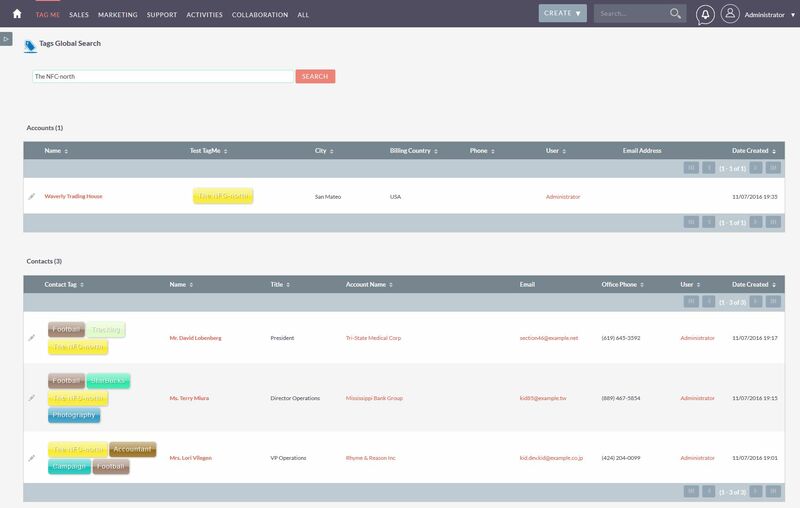 This plugin allows you to tag your records to identify them instantly. Color coded tags make it even simpler to catch them. 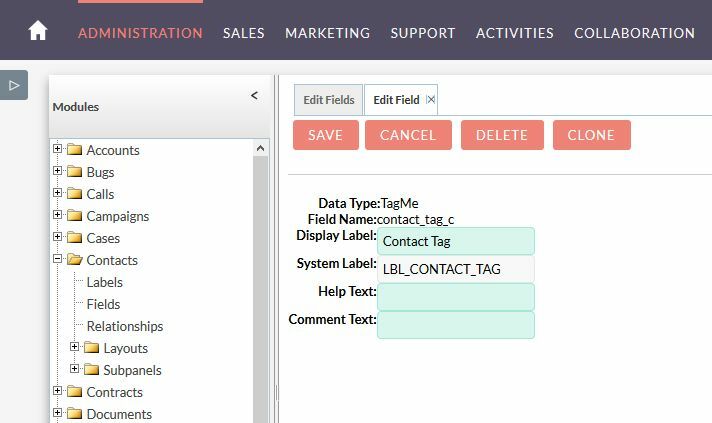 Through Tag Management for SuiteCRM, the user can handle large amounts of records with similar attributes or types. The user can also easily find any contents, important customer, important notes etc. through appropriate tagging. 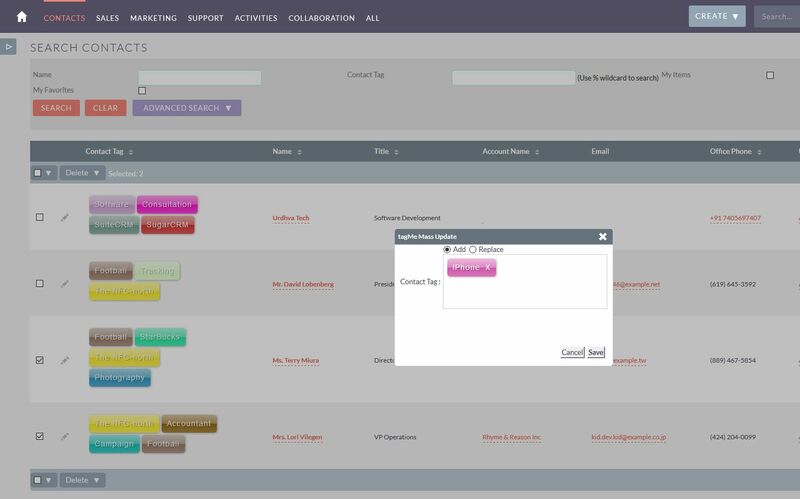 Through Tag Management user can handle large amounts of records with similar attributes or types. The user can also easily find any contents, important customer, important notes etc. through appropriate tagging. Add tags to Notes, Contacts, or any module to easily find the record you are looking for. The new version allows you to import tags! You can enter multiple tags for a record by comma separator tags.